Monday is all about Men's fashion! 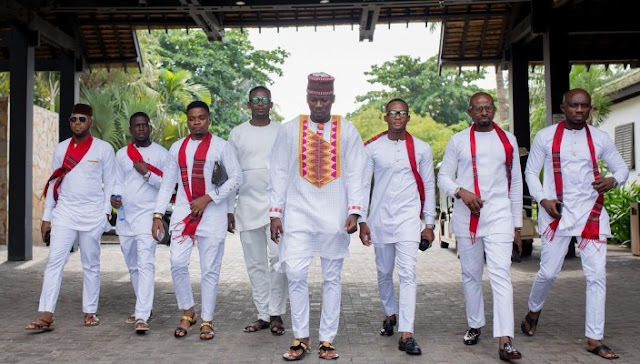 This week's Men feature of the week is a look at the traditional wear worn by Ghanaian dancehall musician Stonebwoy and his groomsmen during his wedding over the weekend. The all-white with the red accents is a great clean look. 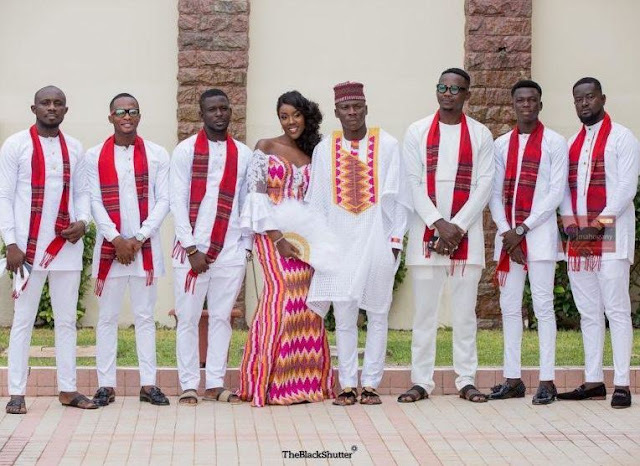 Congrats to Stonebwoy and his new wife!